From its secluded beaches to its steamy rainforests, Belize is a country of diverse natural beauty. Its slow pace of life makes it a popular tourist destination, and cost of living is still reasonable. For the more adventurous traveler, activities can include a trek into the jungle in search of Maya ruins, spotting parrots, toucans, and maybe even a jaguar along the way. It’s true that Belize is no longer the most affordable place to buy property, but this country has other benefits: economic stability, a stress-free lifestyle, and a cost of living that is a very good value compared with the U.S. (or even other Caribbean destinations). Expats have long sought property on Ambergris Caye and the small neighboring islands, home to some of the most beautiful oceanfront real estate in the world. Anyone looking for bargains may be even more interested in the Corozal District, where prices are lower than in many areas on Ambergris Caye. Placencia, on the south-central part of the coast, is the other area of Belize that has long attracted property buyers from other countries. 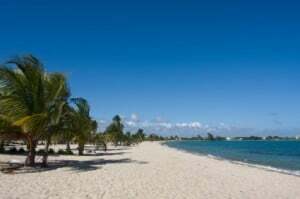 Today, bargains are scarce in Placencia itself, but you can find some excellent buys in nearby coastal areas and even to the south in the Toledo District. 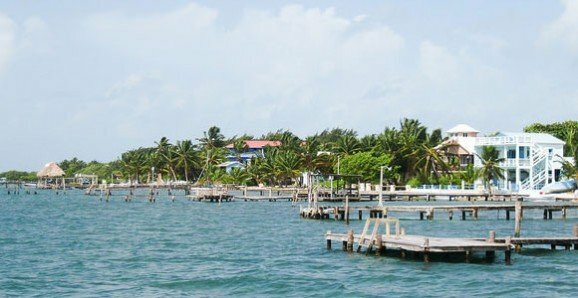 Why Should You Consider Buying Property In Belize? Belize, the little Central-American nation, casts a spell—especially on those with a spirit of adventure. Attractions include the warm, English-speaking people, the natural beauty, and the air of freedom and opportunity. For many years, the country has drawn people from all over the world who want to live in the sun while taking advantage of the country’s real estate bargains and reasonable cost of living. Add to that the protection of assets and terrific fishing and diving and you can understand why Belize captivates so many. And today changes are taking place that make the lure even stronger. Real estate transactions are easier, highways and airports have been improved, and there are a growing number of banks, investment houses, and trust companies that can help your assets grow. Real estate transactions in Belize are relatively straightforward and inexpensive, thanks to a reduction in taxes and updated rules for land registration. Today the tax on property sales, known as stamp duty, for non nationals is 8% of the price, with the first $10,000 being exempt. Meanwhile, the Government of Belize is incorporating more areas of the country into the Registered Lands system which provides for a clearer form of title called a Land Certificate. The process is designed to create a uniform system of nationwide property ownership. 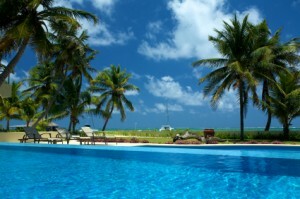 Property owners have other big advantages in Belize—no capital gains tax and low property taxes. Despite all the advantages, buying property in Belize should be done carefully with a keen eye for details. Doing your due diligence is essential, no matter how good a deal looks. Don’t hand over any money without first retaining a reputable lawyer to review the contract. Don’t buy into grandiose schemes for future development. Title insurance may not be worth the 1% of the property price that it now costs in Belize. But if you don’t buy title insurance, make sure the property comes with a registered title certificate. Second homes usually aren’t thought of as tax shelters, but they have very similar advantages—whether the homes are inside or outside the U.S. IRS rules, for example, let you avoid capital gains tax if you’ve lived in the home for at least two of the last five years before selling it. The limit on this capital gains exclusion is $250,000 for an individual or $500,000 for a couple. While few Americans will take out a mortgage in Belize, those who do will have another tax advantage—the ability to deduct mortgage interest and property taxes. Even better, you can rent the second home for up to two weeks a year without being required to report the rental income to the IRS. On the other hand, if you do rent the second home for more than 14 days a year, you lose the mortgage and property tax deductions, but you can then deduct management fees, repair costs, and depreciation up to the amount of the rental income as long as it doesn’t exceed $25,000 a year. Unfortunately, many IRS rules on second homes are complex. In fact, using second-home deductions may subject you to the alternative minimum tax (AMT) that the government can levy against individuals who wouldn’t otherwise be required to pay tax because of, say, an accumulation of losses or deductions. For that reason, it’s important for overseas residents to consult an accountant or tax attorney who is familiar with their specific situation. After your lawyer has assured you that the title to the property you plan to buy is unencumbered, it’s still wise to invest in title insurance. In the U.S., buyers of property have come to rely on title insurance to guarantee that they actually own the property they purchase. Today this type of title insurance policy is available in nearly every market in the world. Even retaining the best attorney doesn’t eliminate the need for protection that insurance provides. It is important to work with the title company and the attorney from the beginning of the purchasing process. For protection against boundary disputes and encroachments and other unregistered interests for instance, the title company would need the attorney to work with the seller and get affidavits on these issues. If the title company becomes involved too late in the process, it is harder to obtain information from the seller. For the same reason, it’s smart to spend money on a survey of the land. If this is done before the sale, you will know immediately about any problems with neighbors. If there are problems, you’ll be in a much stronger position to get the seller to resolve the issues before the sale is consummated. Title insurance is designed to protect against a loss when the title to property is other than as insured. Specifically, your policy needs to insure against losses caused by title defects, liens, and encumbrances. In the event that your title is disputed, for example, you’ll want the title insurance company to provide a legal defense for you. In the event that you lose the case, you’ll then want the insurer to compensate you up to the amount of the policy. As a policyholder, the idea is that you get this protection and security for a one-time premium. Ownership issues—what if the property isn’t really yours to own? Liens, mortgages, contracts, options, or other encumbrances on the title. Fraud and forgery issues, including those that might have resulted from undue influence, duress, incapacity, or impersonation. Rights of access to and from the land and covenants limiting the use of the land. Transfer problems, such as unauthorized conveyances by a corporation, partnership, trust, limited liability company or other legal entity, or one derived through defective judicial proceedings. Documentation disputes, such as the invalidity of a document executed under an invalid power-of-attorney, or one improperly executed or recorded, or one with an erroneous or inadequate legal description of the land. Once you find property that you want to buy, with the help of an attorney or a real estate agent who uses a legal sales agreement, prepare an Offer of Purchase to present to the owner. The offer should include your name, the name of the seller, the property’s legal description, the purchase price you’re offering, and the terms of the deal. You submit this with a deposit—usually 10%. In addition to the 1.5% to 2% that an attorney may charge, there’s a stamp duty (land-transfer tax) of 5% on all but $10,000 of the sales price, plus a variety of fees to register the property in your name. In the end, closing costs are likely to be about 7% to 8% of the sales prices, depending on whether you buy title insurance. The bottom line: To close on a $150,000 real estate purchase, for example, typical closing costs would total between about $11,000 and $12,000, depending on the purchase of title insurance. 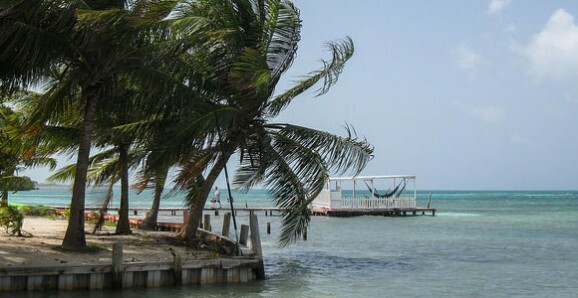 Where might you think about buying beachfront property in Belize today? 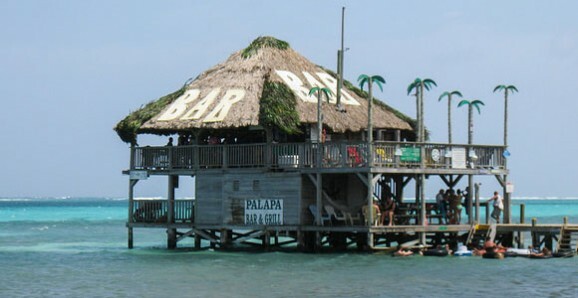 The best deals are south on the mainland coast, around Placencia…and on the mainland coast just north of Belize City. One expat told us he spent just $45,000 for a lot in an old fishing town, close to beaches and full of wonderful shops and restaurants. Another was looking at a lot with palm trees and 50 feet of white-sand ocean frontage. The asking price for this dream lot was $70,000. Ambergris is the largest island in Belize at 25 miles long and a little over a mile wide, and San Pedro is the only town. About 30 years ago, Ambergris Caye became a hotspot for divers and fishermen thanks to the Belize Barrier Reef, just a half mile offshore. This natural wonderland of living coral supports a dizzying array of marine life, and it’s the main reason Ambergris Caye has seen its recent incredible growth. For many decades it has been one of the most popular destinations in the country. As a result, new oceanfront condos can sell for more than $350,000. But if you don’t mind a two-minute walk to the beach, there’s a wide choice of beautiful houses for under $200,000. For a large percentage of residents, Ambergris is their second home. Gorgeous beaches aren’t the only attraction. The capital, San Pedro Town, has sandy streets where golf carts are the principal means of transportation to and from quaint restaurants, cyber cafes, and friendly mom-and-pop shops of nearly every variety. When you walk down the streets of San Pedro on Ambergris Caye, it’s hard not to think of the area as a Cape Cod-type village with palm trees. Ambergris itself, however, has the reputation of being overdeveloped and expensive, but even here property prices are much lower than in better-known tropical countries. Fashionable resorts and million-dollar seafront houses haven’t changed the fact that Ambergris is a beautiful tropical island where anyone can stroll on white-sand beaches or dive into clear azure waters. Even better, there are still property bargains if you take some extra time to look for them. 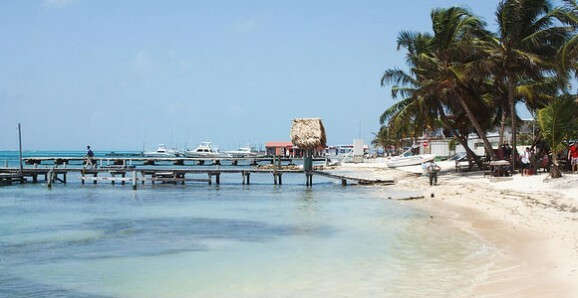 Real estate agent Diane Campbell, a former Californian who has built many homes on Ambergris Caye with her husband, highlights the fact that it is especially important not to rush when searching for property in Belize. Campbell explains that the country’s small and relatively inefficient real estate market means you’ll find widely different prices for similar types of property. A two-bedroom, one-bath condo at Royal Palms, an older, well established condominium complex located two miles south of town. The 750-square-feet unit is fully furnished, with Caribbean Sea views. Price: $199,000. Caye Caulker, an island that many say resembles the Ambergris of 10 years ago. The observation is true to the extent that Caye Caulker isn’t nearly as developed as its larger neighbor, and residents seem determined to keep it that way. Caye Caulker has fewer than 1,500 residents, compared with 7,000 on Ambergris. Caulker has kept its charm as well as an atmosphere of exclusivity. Bargains aren’t hard to find on the island, but it’s likely that shoppers with deep pockets will soon push the prices up. A two-bedroom, one-bath concrete home a few minutes’ walk from the sea. The Happy Homestead has 540 square feet of interior space and a wrap-around veranda and covered rooftop deck. Located on a 60-foot by 80-foot corner lot in Bahia Puesta del Sol area. Price: $179,000. which is in the Stann Creek district on the south coast of the country. 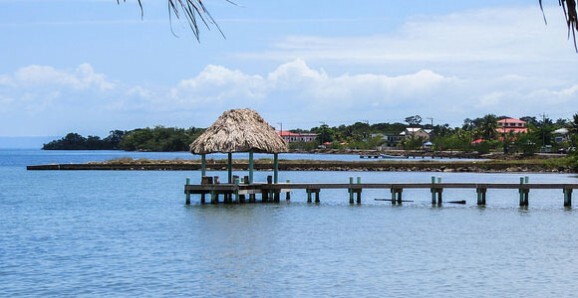 Although Stann Creek district is in the central part of the country, many Belizeans refer to it as the south, as they often do with anything south of Belize City. While luxury abounds on the coast of Stann Creek, the area also retains more of its Caribbean atmosphere–food, entertainment, and architecture–than many other parts of the country, including Ambergris Caye and Corozal. The beaches are wider, whiter, and, in many places, almost empty except for the occasional egret or white ibis. 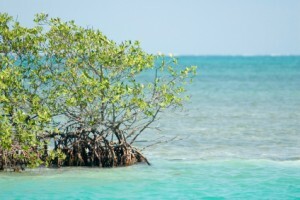 Like Ambergris, however, at least one area in Stann Creek–Placencia–has the reputation for being over-developed. Many other parts of the coast have been slower to attract expats, and it’s there that property bargains abound. On Placencia Peninsula itself, property prices have steadily climbed, but bargains are easy to find in many other areas close by. Sittee Point and Hopkins are especially good value. Even the appearance of telephones in Hopkins about 10 years ago hasn’t detracted from its charm and friendliness. A two-bedroom, one-bathroom home on a double lot in a quiet fishing village, one block from the sea in Riversdale, on the north side of the Placencia Peninsula. Garden and fenced yard with decking and cashew, almond, coffee, cacao, and mango trees. Price: $198,000.